SANDERSVILLE GEORGIA Tennille Washington Bank Store Church Dr.Hospital Deepstep Kaolin Chalk Mine: BAPTIST CHURCH MT. SINAI BAPTIST CHURCH SANDERSVILLE GEORGIA. Mt. Sinai Baptist Sandersville Washington County GA.
BAPTIST CHURCH MT. SINAI BAPTIST CHURCH SANDERSVILLE GEORGIA. Mt. Sinai Baptist Sandersville Washington County GA.
MT. SINAI BAPTIST CHURCH Sandersville GA.
Mt. 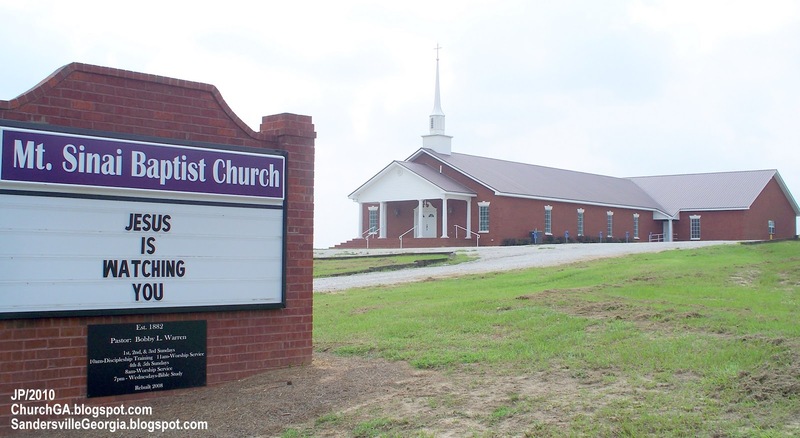 Sinai Baptist Sandersville Washington County GA.
BAPTIST CHURCHES Mt. SINAI BAPTIST Church Sign Sandersville GA.